Sparcells Pharmacy is officially opened for business. 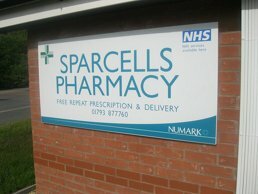 As well as opening a new pharmacy Sparcells have also invested in a Website to promote the Pharmacy within the local community. Sparcells Pharmacy selected a Community Pharmacy Website Package to let the local community know about the instore services available to them. Pre written content made it easy for Sparcells Pharmacy to adapt the site to match there own instore processes. The website also highlights the new pharmacy location and the Prescription services available to the community. As well as creating the new site for Sparcells Pharmacy we also search engine optimised the site for local searchwhich included submission to Google Webmaster tools and Google Places. SiteBuilder Pharmacy has an easy to use Contact Management system which will ensure Sparcells Pharmacy can update and maintain the website easily.